Between work, family, fitness, and fun, life can be difficult to balance. Don't let your busy schedule turn you into an anxious ball of stress. Follow these 8 tips to a more harmonious life. Balance sounds simple enough. Heck, I balance on one foot while doing a single leg deadlift just fine. But when it comes to obtaining balance between work, life, health goals, and all the other things that make up our crazy schedules, it's easy to get overwhelmed. I know how it feels to be buried in stress. I started my fitness journey while working in Corporate America and had to learn that it's possible to change your body, habits, and lifestyle without losing everything else. Yes, it can be difficult. But it can be done. 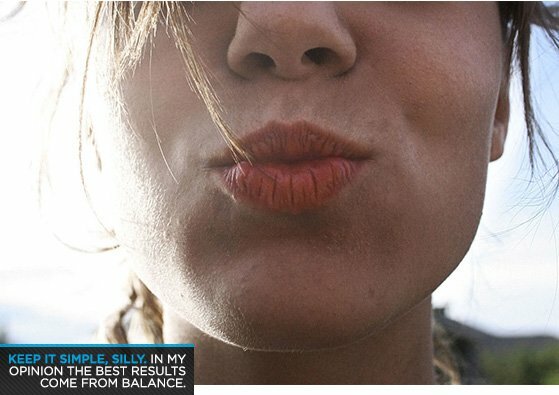 Here are 8 ways to find and keep balance from someone who walks her talk. I hope at least one of them will help you. Integrate a few into your life, and before you know it, you'll have better balance than a tightrope walker. The world is full of different diets, eating methods, and nutrition rules, but that doesn't mean they'll work for you. Every body is different; so are everyone's schedules, eating habits, and food preferences. It is important to find what works for you and do it consistently over time. In reality, effort and consistency are the keys to success, not discovering the world's "best" diet. The easier it is for you to balance healthy eating with your lifestyle, the better the chances are that you'll stick to it. 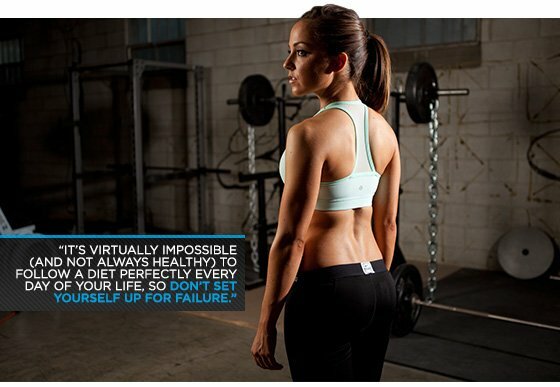 So stop searching for that diet that will "finally bring results." Instead, focus on eating real, whole, minimally-processed foods until you're satisfied. Implement tricks or stricter measures only as your goals dictate. Trust me: I have tried ketogenic, low-carb, low-fat, high-protein, gluten-free, vegan, vegetarian, pescatarian, intermittent fasting, and carb-cycling diets and the changes in my physique were minimal. My best results came from balance. I made healthful food decisions on a daily basis. Remember, the rules aren't nearly as important as your habits. Living by this one simple rule will make all others insignificant. No need to stress about a cheat meal or cheat day if you can enjoy these indulgences in moderation. If you aren't into calorie-counting or weighing and portioning out food, just consume healthy foods in moderation. If you still want to have a social life and hang out with friends, have some wine (you guessed it!) in moderation. It's virtually impossible (and not always healthy) to follow a diet perfectly to plan for every day of your life, so don't set yourself up for failure. Which is better: 100 percent compliance to a diet for 30 days or 80 percent compliance to healthy eating for a year? I would bet my last dollar that the latter would yield better results and keep you sane. And by sane I mean balanced. 3 / Say "Hell Yes" or "No"
If your life is really packed, you'll never be able to achieve balance. It just won't happen. Learn to say "no" to anything that doesn't make you want to say "Hell yes!" You can't make everyone happy or commit to every invite. Trying to do it all will only leave one person unhappy and drained: you. Spend your time doing things that excite and fulfill you, and cut the rest of it out. You will be happier, calmer, and your loved ones will appreciate a more relaxed and joyful you. Calendars aren't just for birthdays and dentist appointments anymore. Most of us have a calendar at our fingertips now (thanks, smartphone) so use it. 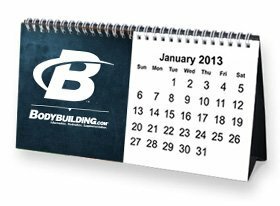 When I was training for competitions, working an 8 to 5, fitness modeling, dieting, etc., the calendar kept me on track and out of emotional, overwhelmed wreckage. Put your workouts in your calendar, block off an hour or two for prepping food on Sunday, schedule "me time," times to call friends and family, and work time. If you're so busy you can't even remember to eat, set an alarm for meal times. Keeping tabs on your schedule is important for a several reasons. For one, you are more likely to stick to your sweat session if a nifty reminder pops up when you should be working out. Even better, you can still be a reliable person no matter how busy you get. You'll have time to balance everything if you know what your week looks like at all times. It might feel obsessive and silly at first, but take it from me: I never miss an appointment, an audition, a workout, a hike with a friend, or a phone call when I said I would. I manage my schedule and never commit to more than I can handle. Food is a noun. 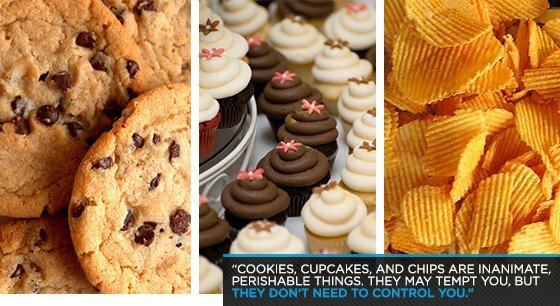 Cookies, cupcakes, and chips are inanimate, perishable things. They may tempt you, but they don't need to control you. Stop giving your power to food, no matter how delicious you think it is. The more you idolize it and focus on what you can't eat, the harder it is for you to make this healthy lifestyle a viable choice. Try this: Next time you find yourself at a bakery and see that red velvet cupcake you long for, change the self-talk from "I wish I could have one, but I can't," to "I could eat one if I want to, but I choose not to. I'd rather be healthy." Take back the power. That way, the next time you do decide to get that cupcake, it won't be a failure to feel guilty about, just a choice you can enjoy. Do you spend an hour or more daily on Facebook or Instagram? Do you spend 10 minutes procrastinating or surfing the web for every 20 minutes of actual work? Take an honest look at your schedule and trim the fat before using "I'm too busy" as an excuse. Many of us are busy. We can list 100 things we have to do every week. We tell ourselves that we'll start working out next week: "it'll be better; I'll have more time, this time, it's for real." Except that it never is. The "perfect time" to lose weight or eat healthier will never come. Now is the perfect time. Busy is not an excuse. Everything you have on your plate is there because you put it there. Try this: Wake up in the morning and immediately write down everything on your mind: chores to do, errands to run, things you've been putting off, bills to pay. Whatever comes to mind is fine. Then put the list away and get up and start your day. You will be amazed how putting your thoughts on paper helps clear your head and allows you to focus on a few priorities for the day. Each morning, pick three things from your list: something time-sensitive (it was due, like, last year); something small and easy to complete; and something big that will take a lot of effort. Then do them—no excuses. Hi, my name is Courtney and I'm a diet-aholic. I've been there, and maybe you have too: when competition plans, or impending wedding or beach plans have turned you into a food-measuring-Tupperware-carrying-antisocial-gym rat. Dedication is great. "Obsessed" is what lazy people call the dedicated, right? Following your plan and sticking to your goals is commendable. Becoming a hermit and losing relationships because you can't do anything but eat, sleep, and train is not so great. What's the point of looking so great if you don't have any fun? Instead of hiding away, try these ideas: Plan game nights with friends and offer to host so you can stock the party with healthy munchies; get creative and schedule dates with your significant other that don't center around food—dance lessons, paintball wars, hikes, or beach dates; or head to happy hour every once in a while. (It's not a crime to order sparking water with lime; no one will know!) Make the effort to keep your life balanced, not isolated. Few problems in life boil down to one-word answers or simple solutions. That doesn't mean everything has to be overwhelming or world-stopping. Everyone has issues: a difficult boss, kids, loss, a new job, relationships, money, car problems. You have to do whatever it takes to deal with them. Some things require more attention and some less, but the secret to maintaining the peace in your world is to keep things in perspective. Will this one issue matter in a month? A year? Five years? If not, then move on. Acknowledge and thank your subconscious for stressing about it, and then refocus on something more positive or productive. If by chance this stressor is a big deal, then let it affect you. Feel it, sit with it, and then find a solution or the best course of action for dealing with the challenge. Don't just bury it. Take it personally enough to inspire action, but not so personally that you slump off the floor in defeat. Nothing should make you stressed, angry, or unmotivated, unless you give it permission.